“We shape our tools, and thereafter our tools shape us.” I believe, Marshall McLuhan would agree that this has become a reiterative process. Our tools shape us, and then we shape them a little more creatively to carve our society’s brains. Give exactly one minute to the learners to tweet about their understanding of a topic. Avoid asking any leading questions. Instead, encourage learners to think reflectively and to extend the topic by adding their own thoughts about it. Then give them a minute to read others’ tweets and to respond to them. 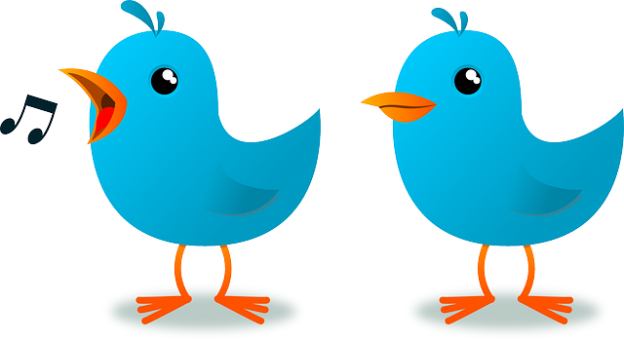 Tweet minutes help learners to observe their thoughts and to express them concisely. Are you ready for the web sales quiz? We’ve got a bunch of 10 questions today. Remember to add #widcorp_wsquiz to your response. Have fun! And the winner of the #widcorp_wsquiz for today is: @tonee789 Great job and keep up the enthusiasm! A big round of applause please. Tip: Using Tweet Deck from http://www.tweetdeck.com/ can filter tweets by hashtags. It’s a great tool to use especially while participating in a quiz or in any other synchronous Twitter event. Provide five hints about a person to the participants, as the objective of the game is to find out who the person is, and to share the person’s Twitter ID. Hints are provided, one tweet at a time, and participants can use the Internet to search for the person. They can respond with answers after each hint.The next stage of the game requires the participants to tweet about the identified person’s work, thoughts, or top resources. They need to explain in a tweet why they think the resource (related to the identified person) that they are sharing is useful. Like the quiz, this game is synchronous, involves an introduction, rules, hints, and shout out to the winners. It can be played during a workshop and will help learners to create a lifelong learning network that they can take away from the workshop. Complete this story, #I_was_sure…Use the hashtag anywhere in the story. Make it as interesting as possible. Stick to the character limit. What you receive as a result is a plethora of open ended responses. The best responses can be made into a tweet collage and the image can be shared with all respondents as an artefact. Tip: Here’s help on how to upload images on Twitter: https://support.twitter.com/groups/31-twitter-basics/topics/111-features/articles/20156423-about-image-uploading-on-twitter. You could check other sections of Twitter Help, which are also very useful and fun to read. To initiate a debate the host posts a debate statement and the rules. Welcome to the #orgdebate! Today’s topic: Collaboration is not always useful for an organization. Watch out for the rules in the next tweets. Participants are given 15 minutes to tweet in favour and another 15 minutes to reply to the tweets or tweet against the debate. This can be an invigorating exercise as learners get to express their opinion or understanding, and get immediate feedback from people in terms of what others think. If experts can be involved in such a debate, it can become even more challenging. Twitter is used by many to have a public, synchronous chat. Everyone interested is allowed to join in. It is usually a high involvement, intense, public talk organized by a host. A very good example of this is #lrncnat, which lasts about 90 minutes. A similar chat can be started for any subject. Thanks to the mobile revolution, we can leverage tools like Twitter to make learning an integral part our day to day lives, such that it no longer remains an isolated activity. Share your ideas on using Twitter creatively for learning. Use the hashtag #DesignStorm. We’ll create a collage of the best ideas and share it back with you. Keep tweeting. This entry was posted in Uncategorized and tagged Informal Learning, Learning, Social Media, Twitter on December 13, 2012 by admin.